Wickham Hardwood Flooring simplifies your life with a quick and easy cleaning system; no need to dilute the product, rinse and use a bucket to clean. Wickham's hardwood cleaner leaves no streaks, no residue and has no need to be rinsed. With a phosphate free solution, this cleaner meets biodegradable standards and is safe for all surfaces. 3 EASY STEPS: vaccum, spray, wipe clean. The cleaning of your floor will take a few minutes! 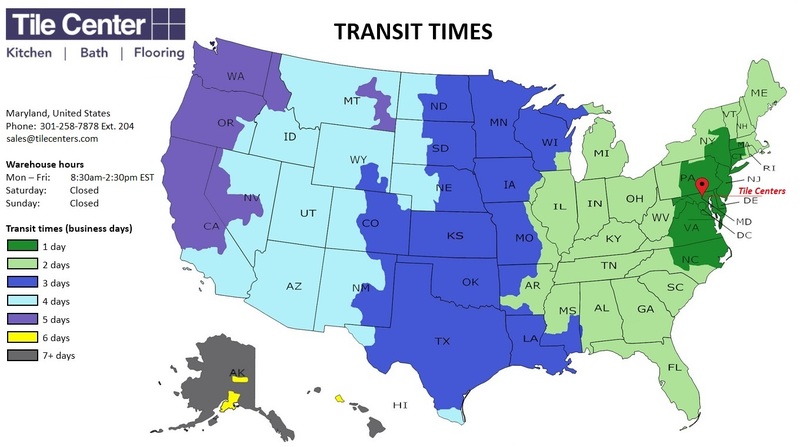 Map displays default transit times for ground deliveries. Times do not include processing time, handling and special orders. Faster transit times are available at the checkout page. Tile Center will ship most orders on the same day but if you need specific times, please contact us.